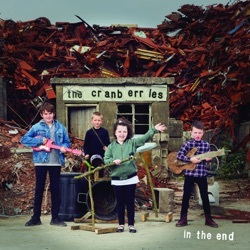 In The End is the eight studio album by The Cranberries, released by Curtain Call through Juztol from BMG on April 26, 2019. A beautiful piece Such a beautiful sound they have that will always be loved. So glad they made this album! Classic Cranberries Get ready for all the feels. Instant purchase. Wow I saw their name and got chills. Cranberries with a new album. Instant buy for me in remembrance of the great Dolores O’Riordan. I keep listening to the preview over and over again. Just let me have it already. Classic! ❤️ Classic Cranberries sound! Love this record.